Inspired by the little female hummer visiting the feeders lately...I suspect her babies have hatched and she's flying back to the nest with food for her babies....this one is called "Broody", ACEO, 2.5 x 3.5 inches. 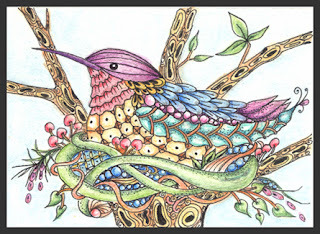 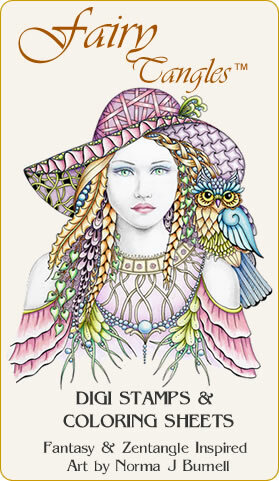 Micron pen, Inktense color pencils, watercolor pencils and clear-star glitter (brushed on - wish it showed up in the scan). Here's my latest Fairy Tangle, "Mae Dragonfly". 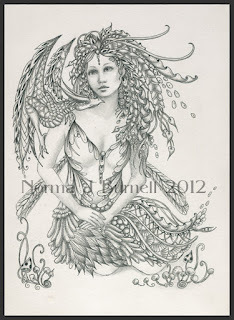 Drawn on Tinted Stonehenge paper with Micron Pen and graphite and is 5x7 inches in size. 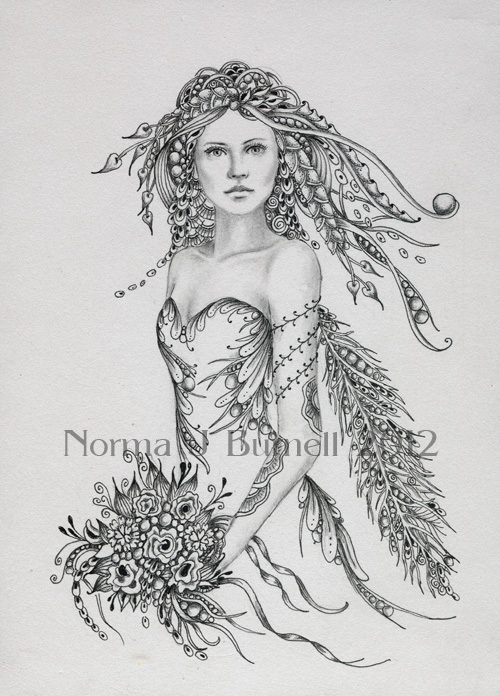 I'll be posting her for sale on Ebay this evening. 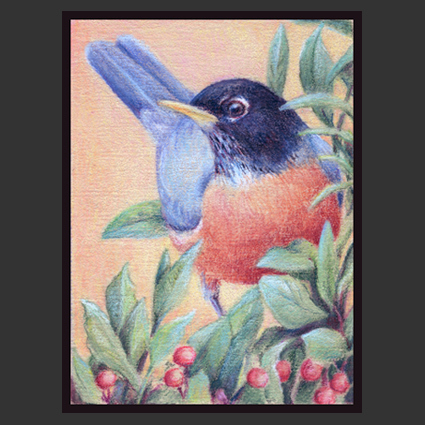 'Peek-a-boo Robin' - Prismacolor color pencils on rough pastel paper...2.5x3.5 inches. 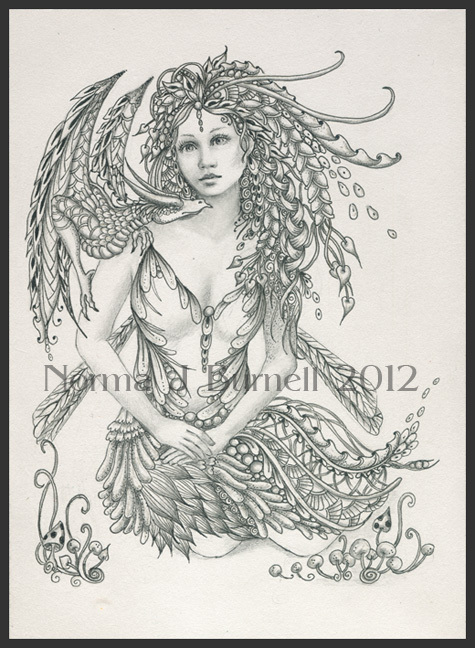 Used mineral spirits on this one too. 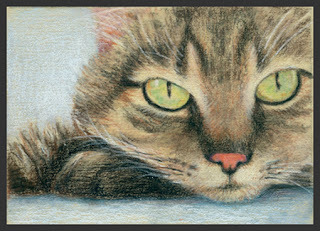 My Mr Binks is 2.5 x 3.5 inches, Prismacolor on rough textured pastel paper. 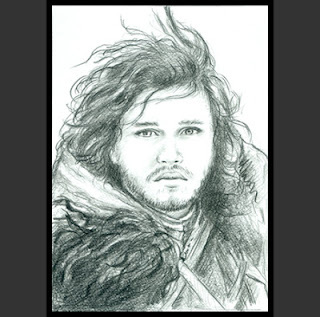 Also used a bit of mineral spirits to "melt" the pencil here and there. Sprayed with fixitive and then put 3 coats of gloss over the whole thing. 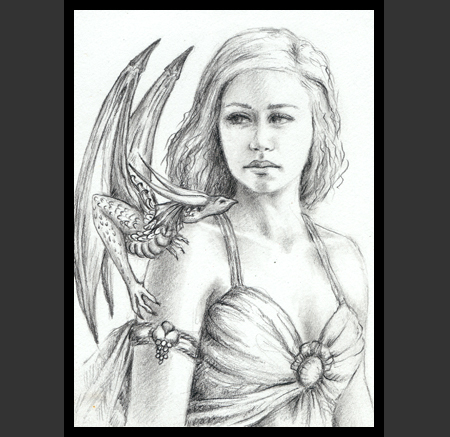 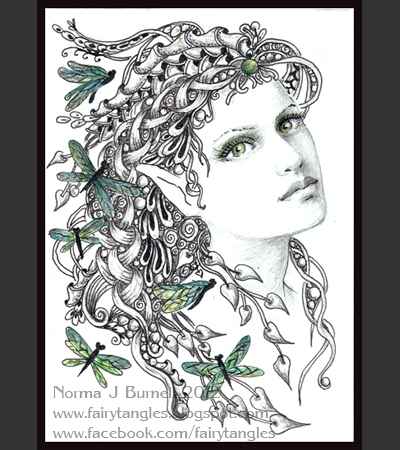 a new Fairy-Tangle: Dragonfly Magic, ACEO, 2.5x3.5 inches, micron pen, graphite, Prismacolor and Clear Start Glitter pen on Bristol Board.